The Lake Hodges Native Plant Club was founded by Dorris Baur on September 20, 1982. The goal of the club is to increase appreciation, knowledge, and enjoyment of native and drought-resistant plants, encourage their propagation and preservation, protect indigenous wild life, support water conservation, and promote the establishment of a native plant preserve. 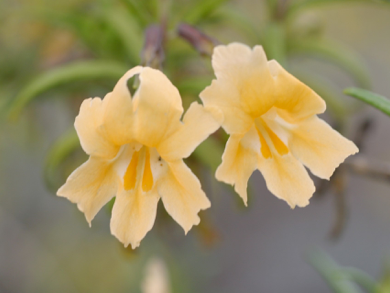 Our mission statement is: Preservation, conservation, and education about the native plants of Southern California. Next Meeting: Monday , April 22 - Our speaker will be member Diane Fisher, who will talk about “Propagation of Native Plants”. Diane provided over 30 native plants to our plant sale last year that she had propagated. She will talk techniques. There will likely be a follow up hands on workshop in the fall.